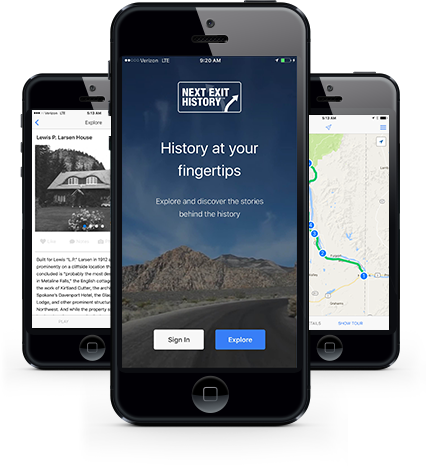 NEH is a suite of mobile and web platforms designed to help the public discover the historic landscape around them. Do I have to own a smartphone to use NEH? No, all of the historical content in our database can be accessed via our website so you can plan your trip before you ever leave home. Can I use NEH on my Windows Phone or Blackberry? Unfortunately right now NEH is only available on iOS and Android devices but there are plans to expand to new platforms. Absolutely, all you need to do is sign up for a NEH account, then you can make custom “Backpacks” and access them via your phone on the road. I don’t see a historic site from my area on the map, does that mean you don’t think its important? Absolutely not, we are working with groups all over the country to expand our database. If you see that we are missing something, send us an email and we will do our best to update the database. Can I add sites to the database myself? NEH strives to maintain consistency in content and presentation. To that extent, we work with organizations and groups. If you know of a historic site, museum, or other organization that might have content to add to the database, please feel free to contact us.